May 29, 2018 / Comments Off on Meet Lucas! Hello! My name is Lucas and I will be serving as the Next Step Team Leader for this upcoming summer in Fond Blanc! 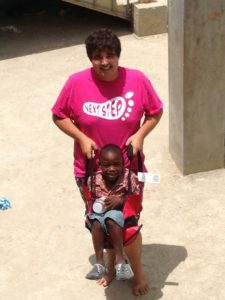 I’m from Michigan, and my first experience with Next Step was actually to another site, All Saints Camp in the Bahamas in 2013 as a student for a week long trip. That was my first international missions experience and God taught, showed and led me in so many ways during that short time, I knew I wanted to do something like that again. I had loved the Next Step experience, but I also loved working with children in other parts of my life (my mom is an elementary school principal). I was wrestling with where God was leading me to spend my Next Step week for that next year, when suddenly a youth leader from another church reached out to me. 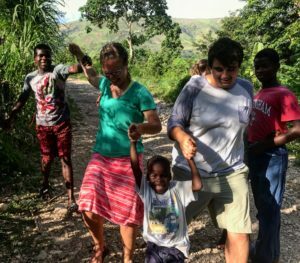 She said that Next Step had just been piloting trips to Haiti, a new site, where they were based out of an orphanage, and that she was considering taking a group that January. Long story short, that January trip ended up never happening, but myself, and some of the members of the team who had gone to All Saints the summer previous, spent a week in Fond Blanc in July 2014. That week has been one of the most pivotal of my life. Since then, I returned to Fond Blanc as a week-long student in the summers of 2015 and 2016; then, I was lucky enough to get the opportunity to intern as the emcee for Next Step for the summer of 2017. It was the best summer of my life in so many ways. 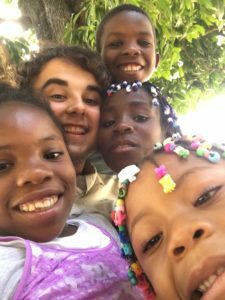 I grew in relationship with the children of Fond Blanc, of course, who blow my mind in the ways they love and continue to grow, physically, mentally and spiritually. But also with other members of the community in Fond Blanc, the fantastic translators, the other interns, members of weekly teams, and most importantly with the Lord as He made my path so clear during that time. I knew, before I had left last August, that God was calling me back to another summer in Fond Blanc, and my goal has been to let him shape this course. I am honored, thrilled and curious to see what God has in store this summer for myself, the staff, the community of Fond Blanc and those absolutely incredible children. I cannot wait to see where this journey will take all of us. My prayer is that God would lead all of us to serve this amazing community humbly, with joyful hearts, because this opportunity truly is such a blessing. And just as much as this, that we would learn from the vast wealth of love, knowledge and compassion present in that place.